The exciting thing about our As We Play model is that we can be flexible and dynamic with our coverage. There is a standard template we follow when overviewing products, but when you tackle a game like Destiny – a title I, and other members of the team, have already invested considerable hours into through the Alpha and Beta – you can afford to do things a bit differently. We will be offering thoughts as we go through the game, but splitting them up into categories. – Observation – Something we’ve encountered that we want to draw attention to. – Change – A difference we’ve noticed between the Alpha/Beta and the finished product. – Confession – I went Hunter. I fancied Warlock to begin with and enjoyed my time with the Titan, but Hunter ended up being the more natural fit for my first playthrough. Don’t worry, i’ve already committed myself to multiple playthroughs to ensure I check out all three classes. Like Aerosmith, I don’t wanna miss a thing …. sorry. – Obervation – Somehow, the game’s introductory sequence seems even more beautiful and vibrant. 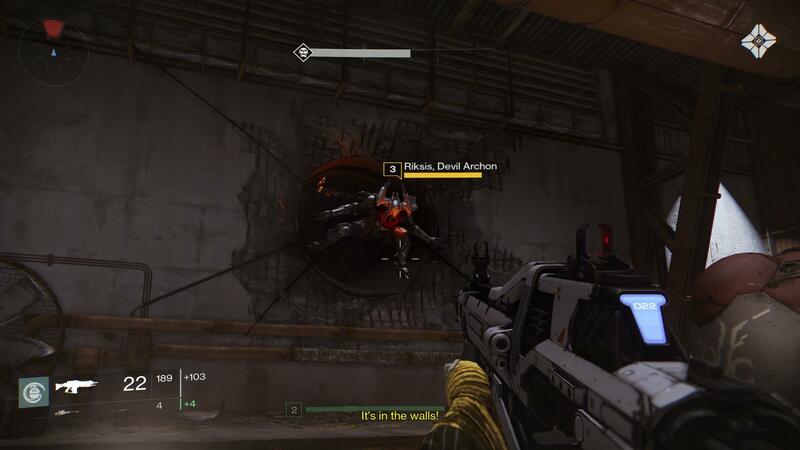 I wouldn’t be surprised if Bungie did some touching up and fine-tweaking, but this much? Maybe it’s just me. – Change – Alright, so the first major change i’ve noticed is the opening fight sequence. They’ve added more corridors and changed enemy locations as a result. Nice touch. I always found the first sequence a bit of a slog, and I imagine a lot of people playing today are going to be coming from the Beta, so it’s a nice surprise for them as well. I bet there are plenty thinking they can just run through the initial content using muscle-memory, but Bungie are already playing some mind-games. The guns also seem more punchy and effective. The damage inflicted seems nicely balanced, so far. -Observation – I see Peter Dinklage/Ghost’s delayed reaction to the trip-mines made it in. That was good for a laugh the first time. – Confession/Observation – The melee is as fierce as I remember it – I got myself out of plenty of sticky spots with that – but the Calcutta-LR2 / Khvostov 7G-O2 combination is absolutely wonderful. Early weapons, I know, but the velocity of the bullets leaving the sniper rifle chamber, the precision and feel of the gun, that kickback. It feels very smooth. Very satisfied with my Hunter already. – Observation/Competency – Not a big fan of having to hold in the triangle button to quit a level. Works in some scenarios – for instance, when you want to jump to Orbit and leave the tower or deploy Ghost – but when I just want to play the campaign and move between levels, I find it more annoying than a ‘neat touch’ – It’s slightly longer than it needs to be. – Confession – Not a fan of the menu screen either. This feels designed for a mouse, plain and simple. Even the use of the DS4 Track Pad would seem more logical than the sluggish analog movement. 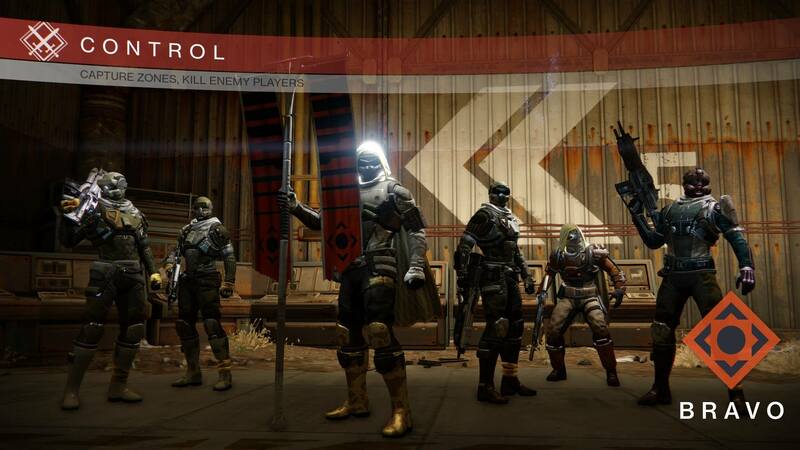 Destiny has a weird interface, one that PC owners are gonna relish, but console fans are probably going to find a bit of a chore, all things considered. – Confession – In case you’re interested, i’ve not been massively showered with gifts because I was involved in the stress-testing of the game. Just a few new emblems – such as Sign of the Elders, Founder’s Seal and Sign of the Finite – all green – and a ‘thank you’ message from Bungie for being a part of the beta, but that’s about it. So, if you didn’t take part in the Beta, don’t worry, we’re not getting special treatment or a massive advantage. – Confession – I had to take the hard path for the first mission. I played this mission several times on the Beta. It would be wrong of me not to do that, right? The good news, it’s a bit more of a challenge and some new enemies have popped and in new locations. Reaper Vandals, for instance, have full yellow shields and constantly back-pedal towards mobs to lure you in. Crafty! Even the Shanks have received a buff and Riksis feels like a proper opening act boss against whom you can test your skills! You’ll need to be on your toes, that’s for sure. Plenty of gunfire heading in your direction early on. It’s still very manageable, but definitely a bit more of a test than in the Beta. – Observation – Has the grenade recharge time been increased? I certainly think so, and it has impacted my strategies considerably. Probably a good thing, I spammed grenades a lot in the Beta, but now i’m relying more on cover fire and jumping around than before. – Observation/Change – The story about the relationship between Guardians and Ghosts seems better explained. Have there been tweaks and changes to the story and dialogue here? If so, they’re much better! 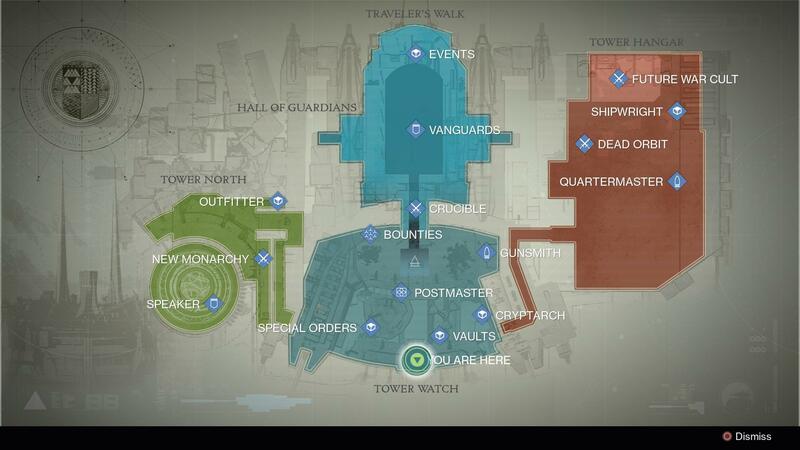 – Confession – Tower Plaza is so much easier to navigate now. The map is a really welcome addition and shows off some of the game’s real expansion potential for the future. Crucible rewards, particularly, could keep receiving additions for months to come. 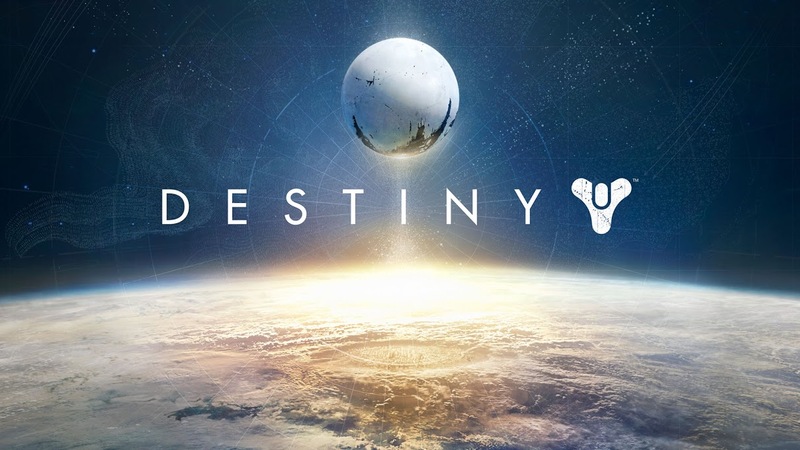 It’ll be interesting to see how Bungie handle Destiny’s end-game until the rumoured expansion next year. – Confession – I genuinely do not understand all the complaints about Dinklage’s voice. People are complaining saying he’s boring or monotone or emotionless or whatever. Guys, guess what? The Ghost is effectively a robot. He’s MEANT to sound that way. Actually, i’d go as far as to say Dinklage’s voice as Ghost is PERFECT. He delivers an appropriate amount of energy and the grit in his voice really compliments the audio synthesizing. Don’t expect Tyrion Lannister Emmy-award winning performances here, or over the top, sarcastic Wheatley nuances. Ghost is Ghost, and Dinklage does it well. Comment below and let us know what you think of Dinklage’s take on the AI. – Observation – Being able to take any weapon I find in the game, switch it out and use in competitive multiplayer is a bit of a ‘whoa’ moment for me. Like, seriously. All these multiplayer games have previously prided themselves on using loadouts and making you switch between two – sometimes three – different guns at a time. Even Bungie did that with the Halo series, but Destiny may have just set a massive trend for the future by doing things this way. Pretty soon, loadouts are going to be seen as a very dated way of doing things. Then again, this only really works in Destiny as both Campaign and Multiplayer seamlessly slot together. So, it’ll be interesting to see how other shooters respond to this over the next few years. -Confession – My advice? Stay away from the Crucible until you’ve at least done the story. As you can probably imagine, every high level is on it now, and the game does not scale levels. So, yeah, if I’m a level 8, I can still kill a level 21 supposedly easy BUT they’ve got all their neat armor, abilities and weapons they’ve collected. So, there’s a big advantage that way. Not quite sure why Bungie haven’t scaled the difficulties so only people around a level bracket play one another. Control is manageable as a pass time to help level yourself up a bit if you’re finding a level a bit challenging, I guess – the point of that is to hold capture points – but you’re better off replaying an older level on a higher difficulty for the XP boost. You’ll move ranks quicker. -Confession – I have to say, I can’t get my head around the multiplayer component. Again, I think this is more MP culture than anything else. We’re used to having multiplayer very seperate to the rest of the game. This still is – Crucible inherits its own planet – yet you totally feel like all your in-game progress contributes to the multiplayer landscape you find yourself in. It really adds to the idea that Destiny is a living, breathing world. But I also find the multiplayer a bit, dare I say, weak? I’m sure the more time I spend with it, i’ll enjoy it, but I’ve yet to find myself really emotionally invested in a game of Control or giving two craps about my random teammates in Clash. Perhaps if I give myself more time to play with friends i’ll feel differently. But this definitely isn’t striking me and sucking me in like Halo’s multiplayer did. Still, with patch culture the way it is, I can only imagine how Destiny is going to evolve over the next six months. This is probably the multiplayer at its absolute core and more of a test case for the future to see what works and what doesn’t. It’ll undoubtedly hit its stride by the time we get to Destiny 2. – Confession – I made my thoughts clear on this a few months back, but now i’ve played Destiny, the thought occurs to me even more. 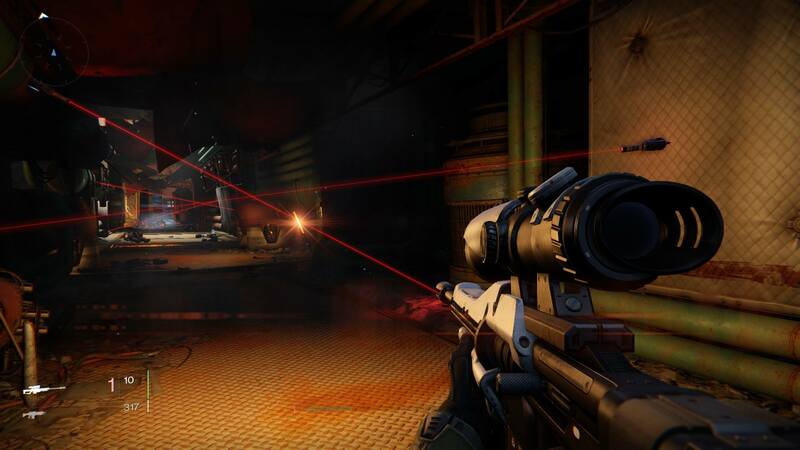 Not including local multiplayer was a major mistake on Bungie’s part. I feel co-op is quite fractured in general and while you’re supposedly part of a team, it feels very much about the individual. Local could have introduced even more people to the game, and equally helped develop a more team-focused feel. While co-op works, I think Bungie have a long way to go in getting it right. – Observation/Change – Refreshing change of pace from Earth. Most of the Destiny images have been focused on Old Russia, but the feel and aesthetic of the Moon environment is quite special. We only got a small sample of this in the Beta, and it was enough of a taste to intrigue me, though I found some of the balancing a bit off back then. Fortunately, Bungie must have felt the same way and they’ve tweaked things appropriately and for the better. In fact, the final boss raid on Earth also had a big difficultly tweak and mostly feels great, except for the fact that the mid-section tank boss actually feels more powerful than the final boss you face. Bungie have definitely tinkered heavily with the balance of Destiny between testing stages and now and mostly seem to have got it right. – Observation – The vehicles are a strange beast. So far, I can’t say any of them are as memorable, nor feel like home as the Ghost and the Warthog did when you finish jumped into them. They’re just fine, there’s nothing wrong with them. Speeding around the environment with the bike is quite a thrill and firing back at enemies with their own vehicle made me smile, but unlike with the Ghost where I used to tear up the landscape with reckless abandon, with these, I can’t wait to get off them and go back to fighting. Perhaps i’m just finding the hand-to-hand and gun combat all that more interesting?